This Jovani Dress would be perfect for a Prom Pageant or Gala Dress. This gown showcases a Sweetheart Neckline and a Fitted Bodice. The Transparent Bodice and Encrusted Sequins and Iridescent Beadwork gleam with every movement. Back Zipper Closure. 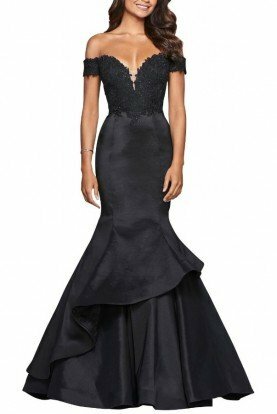 Jovani 5908. According to customer reviews, this dress has some stretch and runs true to size. Length: Approximately 59 inches.. Final sale. Return policy: If the dress does not fit, we will issue you Frock Shop store credit minus shipping. To receive a credit, please follow Poshare's return instructions and use the provided packaging to return everything to us within 24 hours of receiving it. Credit never expires. All sales are Final. If you live near our Chicago store, you can swap your original dress for another style, no appointment necessary.